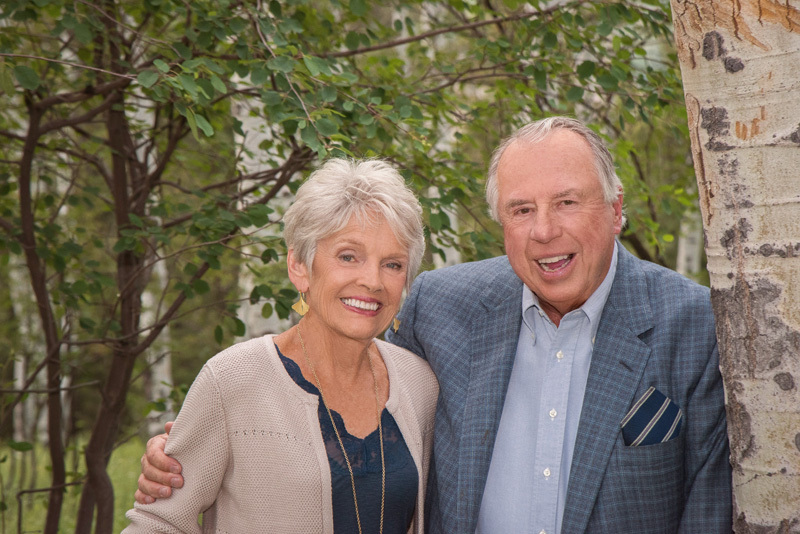 Meet Hollis & Carolyn Rademacher, my next door neighbors! I had the pleasure of photographing this lovely couple and their family to celebrate 50 great years together in marriage. What a milestone! And how wonderful that their two sons, daughter-in-laws and grandchildren could all be there to celebrate! 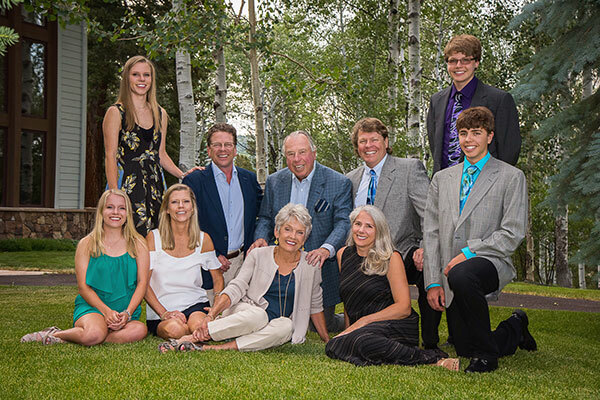 Vail will have it’s glorious color in a couple of weeks which is a spectacular time to do family portraits. 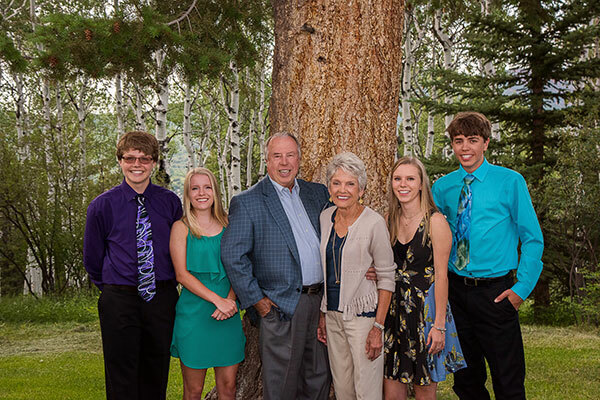 Wouldn’t it be great to have a lasting photo like this with your grandchildren? 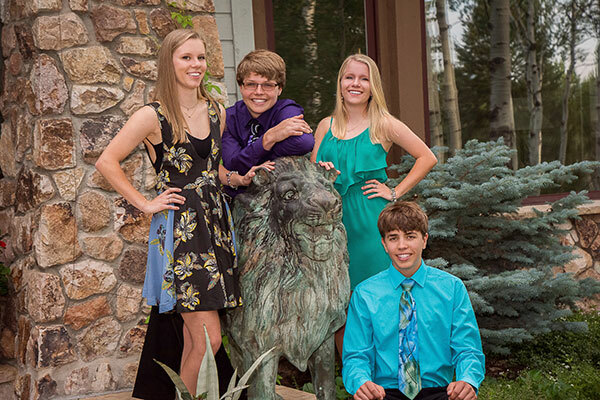 The grandkids are surrounding a lion sculpture that is a replica of the lions in front of the Art Institute of Chicago, where the Rademachers call home as well. 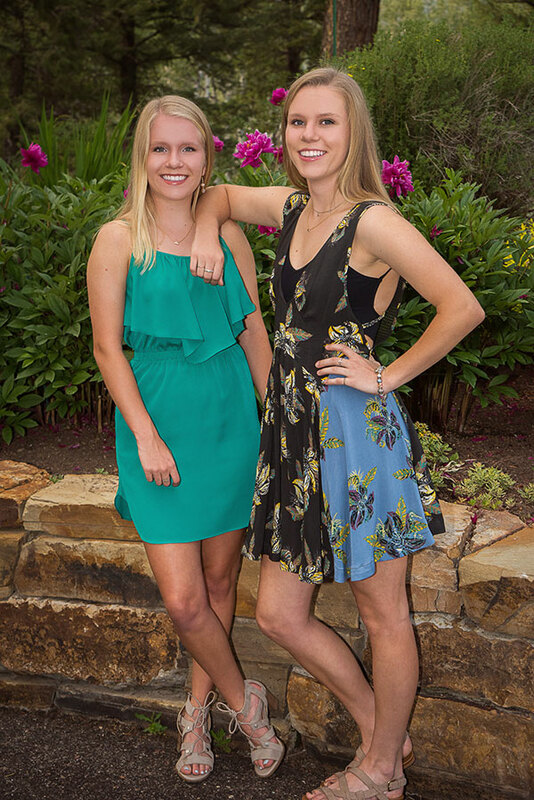 Could not resist getting this photo of these two lovely young ladies before they headed off for their first year of college! 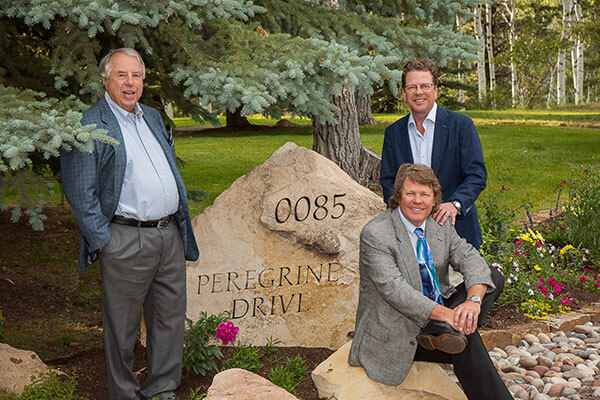 Father & Sons – What a happy time in Colorado! Please contact me to schedule your portrait session and create lasting family memories!